Co-authored with Lilian C. J. Wong, Ph.D., Meaning-Centered Counselling Institute Inc. Resilience may be conceptualized as the capacity to cope with stress and adversity, resulting in bouncing back and becoming stronger. 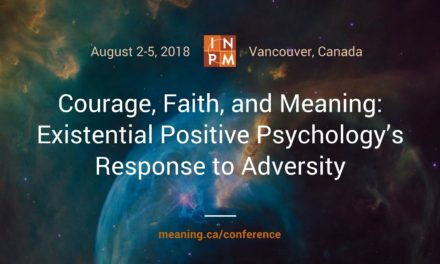 In this chapter, we first develop a taxonomy of dimensions of resilience, and then present a holistic meaning-centered approach based on the interactions between three positive intervention strategies: (a) The PURE principles of meaningful living, (b) The ABCDE strategies of resilience, and (c) Tragic optimism. Together, these three interactive modules constitute the positive triad of the resilient good life. Meaning-enhancing exercises that strengthen any of these three modules will enhance resilience. Our meaning-centered approach is designed to not only to provide youth with life purpose and skills, but also build up their character strengths and virtue to survive and flourish. Resilience has emerged as a major area of research in psychology (Hart & Sasso, 2011), especially in applied positive psychology (Seligman, 2011). In fantasyland, life would be experienced as a perpetual state of bliss, free from stress and strife; living in such a paradise, where every need is met and every desire fulfilled, would make resilience superfluous. But in reality, life for most people is full of hardship and problems; people need resilience in order to manage stress and maintain an acceptable level of well-being. For vulnerable populations, those living in poverty or war-torn zones or suffering from chronic conditions, for example, resilience takes on even greater importance. Although agreeing with Bonanno (2004) that most people are resilient, we also believe that children and youth can benefit a great deal from resilience training on how to grow and flourish in spite of adversities. Research on resilience has evolved over the years. In the early days of resilience research, the focus was on “the invulnerable child,” who did better than expected despite adversities and disadvantages (Garmezy, 1974, 1985; Werner, 1984); developmental psychologists were interested in individual differences and the protective factors that contributed to the development of the invulnerable child. Subsequent research shifted the focus to person–situation interactions and emphasized contextual variables and the process of adaptation. Rutter (1993) even dismissed the concept of invulnerability as both misleading and unrealistic. He warned that resilience should not be assumed to be a “magic bullet” that enables individuals to resist all the stresses in life. He emphasized that “resilience may reside in the social context as much as within the individual” (p. 626). His concept of the “steeling” effect highlights the essence of resilience—the more experience you have in overcoming adversities, the more resilient you will become. It is of interest to note that research on resilience has come full circle. Recently, on the basis of research on coping with loss and trauma, Bonanno (2004) concluded that some individuals are simply more resilient than others, a notion hearkening back to earlier research on invulnerability. The current consensus is that resilience is a matter of individual differences and adaptive processes, as well as context factors. Similar to Maddi (Chapter 3, this volume; see also Kobasa, Maddi, & Kahn, 1982), we recognize that some people are indeed more resilient or hardy by virtue of their genetic makeup, temperament, intelligence, or personal history; but context and training are also important. In this chapter, we first develop a taxonomy of resilience and articulate the holistic, multidimensional nature of the resilience construct. We then briefly review the various theoretical perspectives and intervention programs. Finally, we describe our meaning-centered approach, which is based on the interactions between the three modules of the positive triad: (a) the PURE principles of meaningful living, (b) the ABCDE strategies of resilience, and (c) the five elements of tragic optimism. Resilience was first conceptualized as a personal characteristic of at-risk children who appeared to do better than expected; these children were considered invulnerable (Garmezy, 1974; Pines, 1975; Werner, 1984). Resilient children were characterized by Garmezy (1974) as having high expectations, internal locus of control, self-esteem, self-efficacy, and autonomy in spite of disadvantages. Rutter (1987) defines resilience as “the positive pole of individual differences in people’s responses to stress and adversity” (p. 316). Garmezy (1991a) defines resiliency as “the capacity for recovery and maintained adaptive behavior that may follow initial retreat or incapacity upon initiating a stressful event” (p. 459). Benard (1991) concludes that resilient children also need meaning in life, goals, and interpersonal problem-solving skills. Over the years, the definition of resilience has been revised and refined, focusing on the adaptive process and person–context interactions (Luthar, 2003; Luthar & Zelazo, 2003; Masten, 2001; Rutter, 1993). Masten and Reed (2002) define resilience as “a class of phenomena characterized by patterns of positive adaptation in the context of significant adversity or risk” (p. 75). Vanderbilt-Adriance and Shaw (2008) discuss the evolution of resilience and stress the importance of taking into account different types of adversities. According to Ungar (2006, 2008), resilience needs to incorporate ecological and cultural factors. Thus, resilience is understood as the capacity of individuals to navigate difficult situations through accessing health-enhancing psychological, social, cultural, and physical resources. In sum, the term resilience may be operationally defined as a positive outcome in the context of risk or adversity, known to be associated with negative outcomes (Luthar, Cicchetti, & Becker, 2000) as result of effective utilization of available personal and ecological resources (Ungar, Brown, et al., 2008; Wong, 1993). What Constitutes a Risk Factor? Resilience is manifested when two conditions are met: (a) the presence of some risk or adversity, and (b) the presence of resistance or positive outcome in spite of risk. However, for each individual, the presence of such risk factors depends on the presence of protective resources and the appraisal of threat or danger. According to this transactional view, individuals possessing a great deal of internal and external resources may see risks not as risks but as opportunities for personal growth (Bonanno, 2004; Lazarus & Folkman, 1984; Wong, 1993). By the same token, those individuals with severe deficiency in internal and external resources may feel easily threatened and traumatized; they may become depressed and suicidal, for example, simply because of rejection by a boyfriend or girlfriend. In any event, resilience becomes necessary only when there is a perceived risk to one’s psychological integrity or physical safety. We need to be careful in how we conceptualize and measure the positive outcomes of resilience. Individuals who cope with grief by immersing themselves in work may appear resilient because of high levels of functioning, but they may be “dead” on the inside. Other people may cope with loss by seeking all kinds of distractions and cheap thrills and appear unscathed by grief, but they may feel empty and lost. What is considered positive also depends on culture. Ungar (2004) points out that in some cultural contexts, resilience may take the form of aggression. In order to survive, it may be necessary for disadvantaged individuals, such as the urban poor and high school dropouts, to show a pattern of aggression and the absence of emotional engagement (Eggerman & Panter-Brick, 2010; Obradovic, Bush, Stamperdahl, Adler, & Boyce, 2010). However, although gang violence may temporarily protect marginalized individuals from falling prey to helplessness, whether such aggression constitutes good adaptation in the long run for the individual as well as society is debatable. Generally, there are two kinds of criteria for good adaptation. External adaptation focuses on meeting the social, educational, and occupational expectations of society or culture, whereas internal adaptation focuses on achieving positive psychological well-being as determined by culture. These two criteria complement each other. Most cultures favor one criterion over the other. The internal orientation seems more adaptive because it focuses on psychological processes rather than situational factors. The transformative potential of meaning making and meaning reconstruction is an example of good internal adaptation. Bonanno (2004) differentiates between recovery and resilience. Recovery refers to individuals who often experience a period of “subthreshold symptom levels” before regaining normal levels of healthy functioning (p. 21). Resilience refers to an individual’s “ability to maintain relatively stable, healthy levels of psychological and physical functioning” (p. 20). Given the large literature on resilience as recovery, we wonder whether there is any strong empirical evidence or compelling theoretical advantage to maintain a distinction between recovery and resilience. We argue that when we take into account the subjectively perceived severity of the trauma, the differences between recovery and resilience become blurred. For instance, individuals who perceive the tragic loss of their only child as devastating but eventually bounce back may actually exhibit greater resilience than those who remain relatively unaffected by the long-anticipated loss of an ill and aging parent. We propose that there are at least three prototypical patterns of resilience, which may occur in different contexts for different individuals. All three are manifestations of resilience; the differences can be attributed to different person–context interactions rather than individual differences in their resilience strength. Bonanno acknowledges the multiple pathways to resilience, among them hardiness (Kobasa et al., 1982), self-enhancement (Greenwald, 1980; Taylor & Brown, 1988), and positive emotion (Fredrickson, Tugade, Waugh, & Larkin, 2003). Presumably, individuals are resilient because of a combination of their genetic makeup and prior experiences in those multiple pathways. We believe that meaning and purpose should also be included as a pathway to resilience (Wong & Fry, 1998). According to Masten and Reed (2002), protective factors include cognitive abilities, problem-solving, faith and a sense of meaning in life, positive outlook on life, close relationships with caring adults, and connections to supportive and rule-abiding people. According to Bender, Thompson, McManus, and Lantry (2007), protective factors encompass intelligence, relationships, healthy beliefs, self-reliance, and self-efficacy. Ungar, Brown, et al. (2008) studied the pathways to resilience among Canadian youth. They found that the youths’ capacity to cope under stress depends on different degrees of access to seven mental health-enhancing experiences: (a) access to material resources, (b) access to supportive relationships, (c) development of a desirable personal identity, (d) experiences of power and control, (e) adherence to cultural traditions, (f) experiences of social justice, and (g) experiences of a sense of cohesion with others. Hass and Graydon (2009) studied the sources of resiliency among successful foster youth. They identified such protective factors as a sense of competence, future goals, social support, and involvement in community services. The implication for improving foster youth services includes nourishing supportive relationships and empowering youth to help others. A sense of personal agency involves the freedom and ability to make choices. Bender et al. (2007) emphasize that “as choice is essential to motivate change, youth who believe they have even modest personal control over their destinies will persist in mastering tasks and become more committed to making positive life changes” (p. 2). Bronk (2005) differentiated the characteristics in purposeful youth and non-purposeful youth. 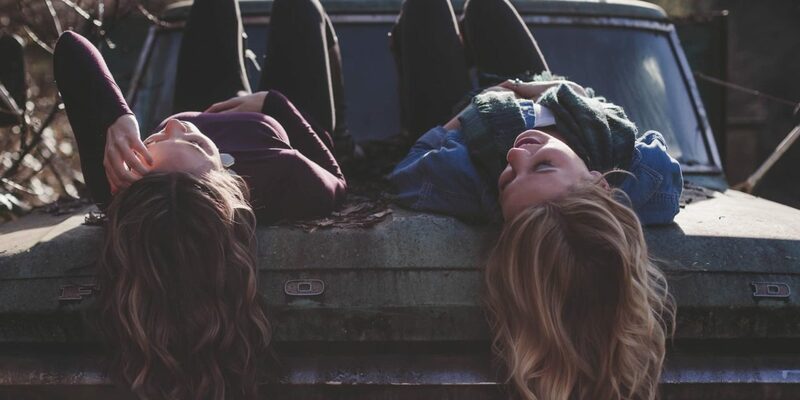 Results suggested that purposeful youth as a group shared a number of defining characteristics: They were relatively open, enthusiastic about their interests, and committed to core values. They also devised a number of creative strategies to overcome challenges, actively sought and created communities of like-minded peers, and established intense, long-term relationships with mentors. With a sense of purpose, they developed a strong sense of moral identity and resiliency. These are assets that prior empirical research has shown to play an important role in positive youth development. Mariano (2007) studied the relationship between categories of purpose and character strengths (including vitality, self-control, optimism, agency, and pathways) in emerging adulthood. According to Mariano, there exists a critical period in youth for cultivating a commitment to positive purposes. In his review of past literature, he points out that a sense of purposelessness is related to destructive behaviors in youth, whereas a sense of purpose is positively correlated with the moral development and psychosocial health of youth. Across genders, participants considered family as most important, followed by career, academic achievement, the arts, social causes, religious faith or spirituality, and politics. The results also show that a sense of agency and hope is related to the presence of purpose in most areas of life. Damon (2008) investigated young people’s lack of career motivation. His study shows that only about one-fifth of youth today are highly engaged with a clear sense of what they want to do with their lives. The other four-fifths may dabble in various pursuits without any commitment, or they may entertain unrealistic dreams without understanding what is needed to achieve their life goals. Youths who are highly engaged and who respond resiliently to difficult circumstances have four key characteristics: (a) a sense of future purpose, (b) autonomy, (c) social competence, and (d) problem-solving skills. Fry (1998) makes the case that search for meaning starts during adolescence and, most importantly, contributes to identity development. Based on her research with adolescents (Fry, 1996), she found evidence of intrinsic motivation for self-knowledge, personal meaning, self-esteem, and the desire to improve the human condition. The development of meaning and wisdom depends, however, on a number of factors, among them the presence of mentors, tutors, and nurturing adults, who provide personal valuations and support for dealing with ontological anxiety. She also considers the need for hardiness training in early developmental years to facilitate adolescents’ search for meaning and personal growth. Because meaning is largely shaped by culture, this chapter also stresses the role of culture in youth resilience. Culture prescribes the values and expectations of what really matters and what constitutes positive functioning. Furthermore, culture assigns different values to various protective factors. For example, the Chinese people consider a close-knit family unit as the sole protective agent for their children’s well-being. Most people are resilient because each cultural system has built-in mechanisms to protect children from being harmed; however, not all culturally prescribed protective mechanisms equally contribute to resilience. Thus, resilience is a cultural expression. Many studies have explored the influences of culture on youth resilience (Ungar, 2005; Ungar et al., 2007). As indicated previously, resilience is multidimensional, and in order to fully understand the process of resilience, research needs to include the cultural dimension. Some cultures focus more on building character, whereas others focus on making children happy. In traditional Chinese culture, for example, the virtues of responsibility, discipline, and perseverance are deeply ingrained in children, thereby increasing the children’s capacity for resilience (Wong, 2009a). Western cultures, in contrast, make little demand from youth and may thus unwittingly deprive young people of the opportunity to develop character strengths and hardiness. Therefore, resilience needs to be understood within the cultural context (Ungar, 2005). Ungar, Liebenberg, et al. (2008) should be commended for their major international study of youth resilience, which involved 35 researchers from 11 countries in developing a child and youth resilience measure (CYRM) suitable for resilience research in different cultures. They were fully aware of the problems of cross-cultural research, among them construct equivalence, factorial invariance, and domain specificity. Their scale emphasizes four factors: individual, relational, community, and culture. Clearly, their measurement is based on an ecological model of resilience. It is worth noting that the domain of individual characteristics does not include any items related to meaning and purpose, which have been shown to be important in youth resilience (Damon, 2008; Fry, 1998). Cross-cultural differences were also apparent in Mariano’s (2007) study, such that participants with a Hispanic or Latino ethnic background found religious faith or spirituality significantly more important than other ethnic groups. Thus, which purpose is most important depends on culture. Similarly, Kiang and Fuligni (2010) found that Asian American adolescents reported higher search for meaning than their Latin and European counterparts. Pan, Wong, Chan, and Joubert (2008) examined the meaning of life as a protective factor of positive affect in acculturation with samples of Chinese university students in Australia and Hong Kong. Their analyses revealed that meaning of life strongly predicted positive affect in acculturation. They also found that meaning of life mediated the relationship between acculturative stress and positive affect in both samples. In view of the foregoing, we favor an ecological and contextual perspective of youth resilience. We need to take into account the individual, family, school, church, and culture in order to understand what contributes to resilience. Secure attachment, a sense of meaning and purpose, and a supportive environment are all important factors in fostering youth resilience. Luthar, Doernberger, and Zigler (1993) provide an extensive discussion on how the definition of resilience has changed over the years and how, by nature, resilience is multidimensional. We propose that the first step toward a comprehensive theory of resilience is to develop a taxonomy of the various dimensions of resilience. Cognitive Resilience. How we interpret events that happen to us determines how we cope. There is a large literature on the importance of attribution (Wong & Weiner, 1981), appraisal (Lazarus & Folkman, 1984; Peacock & Wong, 1990), and attribution retraining (Hilt, 2003–2004; Seligman, 1990) in reacting to negative events. Evidence shows that academic persistence depends on the reasons or values attributed to education (Wong, 1998a). Resilience programs based on cognitive-behavioral therapy (CBT) capitalize on cognitive resilience. Transactional Resilience. Transactional resilience refers to how we negotiate changing circumstances and daily stressors in a way that allows us to survive and flourish. According to the transactional model (Lazarus & Folkman, 1984) and the resource-congruence model (Wong, 1993, 1995; Wong, Reker, & Peacock, 2006), resilience depends on having sufficient resources and effective coping strategies. We have demonstrated that the cultivation of internal and external resources and the use of situational and culturally appropriate coping strategies result in eff ective coping (Peacock & Wong, 1990; Wong, 1993; Wong, Reker, & Peacock, 2006). Behavioral Resilience. Behavioral resilience refers to the habit of persistence and endurance in the face of failure and obstacles. It is a habit acquired, as is any other habit, through a history of reinforcement and practice. In a series of experiments, Wong (1979, 1995) has demonstrated that animals can be trained through intermittent reinforcement, especially a progressively demanding schedule of reinforcement, to develop very high levels of persistence, which generalizes to other difficult situations. A similar kind of progressively more rigorous and demanding training regimen is also used to develop endurance and toughness in elite athletes. Motivational Resilience. Motivational resilience refers to whether you have a clear sense of purpose, and whether you are fully committed in pursuing a life goal. Individuals are more likely to give up unless they are convinced that their pursuit or calling is something worth dying for. Therefore, the will to live is importantly dependent on the will to meaning (Frankl, 1946/1985; Chapter 28, this volume). Existential or Spiritual Resilience. Motivational resilience becomes existential or spiritual resilience when one considers the ultimate meaning and purpose of human existence. Existential resilience becomes spiritual resilience when the person resorts to religious or spiritual perspectives to answer life’s big questions. Existential or spiritual resilience is also related to the quest for meaning and purpose (Wong, 1998c). A number of studies have shown that adults and children both tend to believe that the natural world was created by someone or something for a purpose (Azar, 2010). Such beliefs provide a sense of stability and coherence during times of uncertainty and change. Relational Resilience. There are three types of relational resilience. The most basic type is based on secure attachment during early childhood development (Bowby, 1988; Siegel, 2001). Relational resilience also comes from bonding or close relationships between adults (Chapter 9, this volume). Finally, self-transcendence and altruism contribute to resilience through meaning and tragic optimism (Frankl, 1946/1985; Wong, 1998b, 2009b). Emotional Resilience. “A resilient child is an emotionally healthy child, equipped to successfully confront challenges and bounce back from setbacks” (Brooks & Goldstein, 2002, p. 5). There are three types of emotional resilience. First is one’s ability, based on secure attachment, to tolerate rejection and negative emotions. Second is one’s ability to maintain some level of self-confidence, hopefulness, and emotional stability through mental toughness or hardiness. Third, emotional resilience also comes from one’s ability to confront and overcome existential anxieties through existential or spiritual experience. The foregoing discussion has shown that the seven dimensions of resilience are all related to the pivotal construct of meaning. In cognitive resilience, meaning is involved in cognitive reframing as well as retraining in attribution or explanatory styles. Transactional resilience involves appraisal and adopting appropriate coping strategies, including existential coping. Behavioral resilience involves forming the habit of persistence and endurance in goal striving. Motivational resilience involves commitment to a major life goal or a higher purpose. Relational resilience means that one draws strength and support from others. Emotional resilience implies that one is able to hold on to an anchor or find a refuge even when one feels overwhelmed and devastated. Resilience training is needed for every age group, but the approach needs to take into account developmental diff erences in resilience. A comprehensive meaning-centered resilience training program takes into account all seven dimensions of resilience because meaning seeking plays a role in all seven types of resilience. The relative importance of various dimensions of resilience may vary according to developmental stages. For example, relational resilience and emotional resilience based on secure attachment are most important in early childhood. Behavioral resilience is more important for school-aged children than for older adults, who have already developed habitual patterns of behavior and thought. Cognitive resilience is more important in adults than in children because of adults’ developed capacity for understanding and reasoning. During adolescence, the individual’s developmental needs are primarily (a) autonomy, (b) relatedness, and (c) competence (Ryan & Powelson, 1991), as well as identity development (Erikson, 1963). Therefore, motivational resilience and existential or spiritual resilience are essential for adolescents in view of their need for self-identity, challenge (Damon, 2008), and self-determination (Ryan & Powelson, 1991; Chapter 4, this volume). The humanistic-existential theory states that people have an innate desire for self-actualization (Maslow, 1965) and an innate tendency to overcome obstacles and setbacks in order to realize one’s potentials. In a similar vein, Viktor Frankl (1946/1985) emphasized that all people have the will to meaning. In other words, individuals will strive to overcome obstacles in order to fulfill their meaning in life. Humanistic-existential models also focus on understanding human behavior within a larger context of existential issues (Robbins & Friedman, 2011; Wong & Tomer, 2011). Contextual models emphasize the social, political, and cultural factors in resilience (Jessor, 1993; Takanishi, 1993; Ungar, 2005). Most studies on resilience have such identified contextual factors as family, school, community, agency, and church as protective factors (e.g., Harvey & Delfabbro, 2004; Masten & Reed, 2002; Ungar, Brown, et al., 2008). Communities play a large role in fostering resilience. Benard (1991) identifies three characteristics of community support: (a) availability of social organizations that provide an array of resources to residents, (b) consistent expression of social norms so that community members understand what constitutes desirable behavior, and (c) opportunities for children and youth to participate in the life of the community as valued members. The clearest sign of a cohesive and supportive community is the presence of social organizations that provide healthy human development (Garmezy, 1991b). Luthar and Goldstein (2004) observe that individual resilience cannot be sustained over time when children are under continued and severe stress from the external environment; their suggested solution includes a reduction of community violence and fostering supportive relationships with significant adults. Family also plays a crucial role. Brooks and Goldstein (2002) recognize the importance of teaching and modeling empathy, in addition to creating opportunities for children and youth to act responsibly and compassionately. Any family that emphasizes the value of assigned chores, caring for brothers or sisters, and the contribution of part-time work in supporting the family, helps to foster resilience (Werner & Smith, 1982). In a related book, Brooks and Goldstein (2004) describe how adults can develop a “resilient mindset.” They emphasize the importance of taking responsibility for one’s actions and their impact on others. A resilient mindset also involves setting realistic goals and overcoming obstacles and adversities. Parental demonstration of a resilient mindset will impact their children because children learn responsibility and resilience vicariously from their parents. Religious institutions are also protective factors. Williams and Lindsey (2010) reviewed the roles of spiritual practices in at-risk adolescents. They confirmed that the following three major spiritual themes were related to bolstering resilience: (a) having a personal relationship with God or a higher power, (b) finding meaning and purpose in life, and (c) embracing personally meaningful spiritual practices. The church’s social life influences youth from poor communities more than doctrine does. Johnson (2002) also found that church attendance improves physical, social, and emotional health of students. The individual differences models focus on the roles of personal characteristics, personality traits, and competencies (Beardslee, 1989; Salovey & Sluyter, 1997). Resilience may also be conceptualized in terms of individual differences in character strengths. Certain character strengths, among them persistence, endurance, resourcefulness, courage, faith, and hope, are particularly important for resilience (Wong, 1995). As operationalized in Snyder’s hope theory (1997), hope has been shown to be a key psychological strength in the face of adverse life events. Hope can be measured as either a trait or a state (Curry & Snyder, 2000). Maddi’s (Chapter 3, this volume) hardiness theory emphasizes the attitudes of commitment, control, and challenge, as well as meaning making through decisions. Commitment is the decision to do what is right and remain engaged with life. Individuals exercise control by taking the initiative of doing what is right within one’s power as opposed to becoming passive and helpless. Challenge refers to the existential courage to confront adversities as an opportunity for personal growth. Park and Peterson (2006) studied the Values in Action Inventory for Youth (VIA-Youth), which is a self-report questionnaire that measures 24 character strengths. Their factorial study of several samples of adolescents revealed four interpretable factors: temperance strengths (e.g., prudence, self-regulation, authenticity, perseverance), intellectual strengths (e.g., love of learning, curiosity, open-mindedness), theological strengths (e.g., hope, religiousness, love, zest, gratitude), and interpersonal strengths (e.g., kindness, modesty, bravery, teamwork). Everly (2008) suggested seven lessons to develop character strengths in children: (a) developing strong relationships, (b) learning to make difficult decisions, (c) taking responsibility, (d) staying healthy, (e) thinking positively, (f) having a faith, and (g) possessing integrity. To this list, Brooks and Goldstein (2002) would add empathy, optimism, respect, unconditional love, listening skills, and the patience to practice these values. Another individual difference has to do with the capacity for happiness and positive emotions, which also play an important role in meaningful living and resilience (Csikszentmihalyi & Csikszentmihalyi, 2006). There are clear individual differences in the happiness set point (Lykken, 1999). However, more recent research has shown that the pursuit of life goals can alter the happiness set point (Headey, 2008. The narrative approach makes use of the human capacity for narratives and storytelling to bring about personal transformation. The website www.selfauthoring.com contains a wealth of information on the power and benefits of narratives dealing with negative emotions and stimulating personal growth. Hauser, Allen, and Golden’s (2008) project illustrates how resilient troubled teens made pivotal changes in their lives through telling their stories. The cognitive-behavioral approach focuses on cognitive resilience. Examples of cognitive-behavioral models include cognitive-behavior therapy (CBT), rational-emotive behavior therapy (REBT), and problem-solving therapy (PST). According to Neenan (2009), having a stoic attitude toward adversity is at the heart of resilience. Neenan suggests that it is the cognitive meanings we attach to events, and not the events themselves, that determine our reactions to them. People can find constructive ways of dealing with their difficulties by using the techniques from CBT, as well as learning from the wisdom of those who have prevailed over adversity. Because resilience is multidimensional, it takes a village to produce a resilient youth. Tull (2007), for example, summarizes a number of factors that promote resilience; these include the ability to cope effectively with stress, being connected with family and friends, spirituality, and finding positive meaning. Werner (1995) distinguished three contexts for protective factors: (a) personal attributes, (b) the family, and (c) the community. Wexler, DiFluvio, and Burke (2009) find that meaning making and group identity can contribute to resilience in combating systemic discrimination and structurally based unfairness. This approach is particularly useful for marginalized groups. This notion is consistent with the meaning-centered approach, which recognizes that meaning making is based on personal as well as social construction. Community involvement also contributes to resilience. Price-Mitchell (2010) emphasizes the importance of engagement in civil responsibilities in promoting intrinsic motivation for self-efficacy, self-reflection, overcoming challenges, and moral development. Reichert, Stoudt, and Kuriloff ’s (2006) study suggests that gang violence may be normative and actually adaptive in some communities. In order to reduce violence, it may be necessary to move beyond the individuals and take political actions to create safer communities. The researchers emphasize a need for structural change of societies and communities to reduce poverty, injustice, and discrimination. 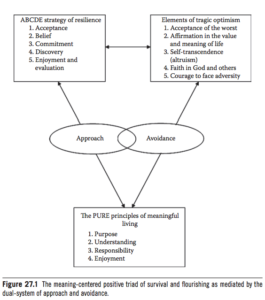 The meaning-centered approach (Wong, 2010, 2011b; see also Chapter 1, this volume) represents a holistic and integrative theory for understanding resilience. This approach is based on managing the interactions between the three modules of the positive triad through the dual-systems model of approach and avoidance, as depicted in Figure 27.1. The three modules represent three meaning-centered positive intervention strategies. This positive triad provides a comprehensive way to enhance resilience in a variety of adverse situations, including the terror of death and tragic losses (Tomer, Graft on, & Wong, 2008; Wong, 2009b). The first module of the positive triad consists of the PURE principles as shown in Table 27.1. PURE stands for purpose, understanding, responsible action, and enjoyment or evaluation. Elsewhere, we have elaborated on PURE (Chapter 28, this volume). 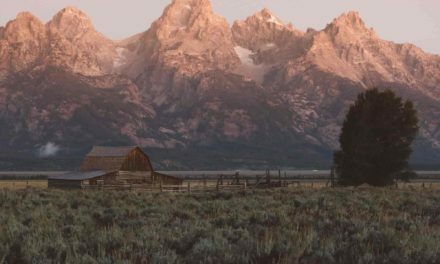 Here, we explain why these four principles of meaningful living form the foundation of resilience. The Imperative of Purpose. Having the right purpose is perhaps the most important key to resilience and flourishing. One may volunteer for a good cause and engage in happiness-inducing and strength-enhancing exercises, but without a strong sense of life purpose, one is likely to lose one’s way and see one’s life derailed by making a wrong turn. In some cases, having the wrong life purpose is worse than having no purpose at all. Adolph Hitler, for example, had an evil purpose, as did Osama Bin Laden: Both devoted their lives to the evil purpose of destroying innocent people, and the world has suff ered greatly because of them. To the extent that purpose is related to core values and beliefs, it is not morally neutral. Purpose can be right or wrong, good or bad. A good and right purpose will be constructive, realistic, achievable, consistent with one’s gift s and strengths, and, more important, congruent with the best values for the person and society. Self-transcendence is one of the defining characteristics of a good purpose. Self-transcendence is part of the sources of meaning that make life worth living (Wong, 1998b). The eight sources of meaning identified by Wong map onto the pathways to flourishing and happiness (Seligman, 2011; see also Ecclesiastes, NIV; Myers, 1993). Therefore, only meaning-oriented life purposes are likely to enhance resilience and flourishing. One’s life purpose depends importantly on one’s overall life orientation or the mindset with which one looks at life and makes significant choices. Elsewhere, Wong (2011d; see also Chapter 1, this volume) has made the distinction between a meaning mindset and a happiness mindset. For those individuals with a happiness mindset, the primary objective in life is to pursue whatever gives them optimal happiness, which may be money, power, fame, or pleasures. Thus, the happiness mindset may also be referred to as the success mindset. In contrast, for those individuals with a meaning mindset, the ultimate concern is to devote their lives to pursue something meaningful and virtuous for the common good. Thus, the meaning mindset can also be referred to as virtue mindset. The happiness mindset asks, “What can I get from life? How can I be happier?” whereas the meaning mindset asks, “What does life demand of me? How can I do more to make life better for others?” Research is underway to determine whether a meaning mindset, as compared to a happiness mindset, would lead to more eudaimonistic well-being, resilience, character strengths, and moral virtues. Understanding. Understanding is closely related to purpose and plays a vital role in meaningful living. It is doubtful whether one can live a meaning-filled life without a clear sense of the self and of one’s place in the world. If you do not know who you are and what you are meant to be, how can you discover the right purpose and meaning in life? Similarly, one needs to have a pretty good understanding of reality, of the challenges and opportunities available in order to set life goals. Having a philosophical understanding of what really matters also contributes to the formation of life purpose. Finally, to understand the demands of each situation as well as one’s own proper role in that situation is important for deciding on responsible actions. Understanding is also related to a sense of coherence. Without a sense of coherence, life is incomprehensible, unpredictable, and unsettling. Without a sense of order and understanding of how the world works, we would have difficulty cultivating hardiness (Maddi, 1998). Without a clear sense of self-identity, we would not know what to do with our lives. The pursuit of self-understanding and self-knowledge is important for self-control (Baumeister, Heatherton, & Tice, 1994). Attribution and appraisal help us understand the nature of situational stress (Lazarus & Folkman, 1984; Peacock & Wong, 1990; Weiner, 1985; Wong & Weiner, 1981). Understanding also includes emotional intelligence (Salovey, Mayer, & Caruso, 2002). At a deeper level, enlightenment about life and death, as well as one’s place in the larger scheme of things, is needed to discover the meaning of life (Wong & Tomer, 2011). For young people with limited life experience, guidance and mentoring are needed to enhance the understanding of themselves, other people, and their responsibilities in the world. A big part of understanding has been referred to as social-emotional intelligence (Salovey et al., 2002), which will contribute to relational resilience. There is also a sociocultural dimension to understanding. According to constructivist psychology (Raskin, Bridges, & Neimeyer, 2010), meaning making is involved in understanding self and the world, in navigating everyday life. Meanings are subjectively constructed based on one’s personal history and idiographic way of experiencing the world, but the ways that we understand our world and ourselves are also shaped by culture, language, and ongoing relationships. Thus, curiosity, meaning seeking, myth-making, and story telling all contribute to our understanding of ourselves and the world we live in. We are more likely to quest for meaning and understanding when our assumptive worlds are disrupted (Janoff -Bulman, 1992). Crisis serves as an opportunity for people to rework their understanding of their own lives and the cultural dynamics of their world (Becker, 1997). According to the meaning maintenance model (Heine, Proulx, & Vohs, 2006), when one’s meaning systems are threatened by a variety of adverse events, one will seek alternative mental representations to regain a sense of meaning. Wong and Weiner (1981) demonstrated that when outcomes are unexpected or negative, people engage in both causal and existential attributions (Wong, 1991). Thus, our capacity for understanding is constantly challenged and stretched. We probe, explore, and search. We use imaginations, metaphors, myths, and analogies. We even learn how to see and hear beyond our senses in order to get a sense of our calling and destiny. Damon (2008) emphasizes the need for self-assessment: “A sense of calling requires (1) a realistic awareness of one’s own abilities; (2) an interest in how those abilities can serve some aspect of the world’s needs; and (3) a feeling of enjoyment in using one’s abilities in this way” (p. 46). Barber’s (2008a, 2008b) research with youth in war-torn Bosnia and Gaza demonstrated the psychological importance of establishing a sense of personal identity and understanding the nature of the conflict in order to make sense of one’s personal experiences of war. “He concludes that if young people can locate themselves in a historical context, identify with a collective purpose and play an active role to further that purpose, they will be better able to withstand hardship” (Wexler et al., 2009, p. 567). Understanding also requires practical wisdom. Aristotle (trans. 2004) emphasized the importance of practical wisdom as well as rationality. In Sternberg’s (2001) words, practical wisdom is “not simply about maximizing one’s own or someone else’s self-interest, but about balancing various self-interests (intrapersonal) with the interests of others (interpersonal) and of other aspects of the context in which one lives (extrapersonal), such as one’s city or country or environment or even God” (p. 231). All the signature strengths without practical wisdom may lead to irresponsible decisions with disastrous consequences. That is why to Aristotle, practical wisdom and rationality are always needed in living the good life. Enjoyment and Evaluation. Typically, there are three sources of enjoyment of happiness: (a) hedonic happiness that comes from pleasant experiences, (b) eudaimonic happiness that comes from doing what is good and realizing one’s potential, and (c) chaironic happiness that comes as a gift from grace, often unrelated to our own virtue and accomplishments. One is more likely to experience chaironic happiness when one is spiritually attuned. The pursuit of all eight sources of meaning will yield all three kinds of happiness. Even when we do all the right things, however, from time to time we may still experience periods of darkness. From our meaning-centered perspective, these difficult moments in life call for soul-searching and reflection, which often results in adopting the ABCDE strategy, introduced next in this chapter. Feeling good is the inevitable outcome from doing good in light of one’s highest purpose and best understanding. One can feel satisfied with the decision and action even when one fails to achieve the desired result. When the situation worsens and when dissatisfaction sets in, self-regulation demands that one reevaluates one’s purpose, understanding, and actions in order to make midcourse corrections. The evaluative component is necessary to ensure that one gets unstuck and moves forward. Here, discontent serves a positive function when it compels the unhappy person to make positive changes. 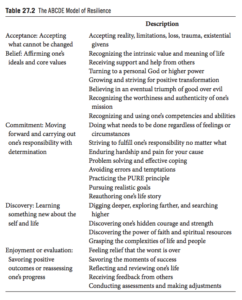 The ABCDE model, which stands for acceptance, belief, commitment, discovery, and evaluation, is primarily an intervention strategy dealing with stress and adversity, as summarized in Table 27.2. Wong has elaborated on the therapeutic functions of ABCDE elsewhere (Wong, 2011b; see also Chapter 28, this volume). Whereas PURE provides the principles of meaningful living, ABCDE provides the principles of overcoming existential givens, misfortunes, and sufferings. Here, we simply highlight elements related to resilience. Acceptance. Acceptance plays a vital role in meaning-centered resilience training. It not only contributes to the source of meaning but also is a key element of the ABCDE strategy and tragic optimism. The reason acceptance is involved in all three modules of the positive triad is that practical wisdom is needed to accept what cannot be changed. Acceptance involves recognizing one’s limitations as a person as well as one’s finitude and fragility as a human being. Just as wisdom is needed for living an authentic life, a worthwhile life comes from the wisdom of self-acceptance. Acceptance moves us beyond the immature defense mechanisms of denials and repression, and enables us to face the new reality to which we must adapt. A positive attitude toward life begins with accepting our limitations and external constraints (Wong, 1998b). The mindfulness approach emphasizes acceptance. Kabat-Zinn (1990) teaches his patients “to taste their own wholeness as they are, right now … to accept ourselves right now, as we are, symptoms or no symptoms, pain or no pain, fear or no fear” (pp. 279–280). Belief. It is difficult to conceive how we can maintain hope and confidence in the face of bleak prospects without some belief, be it religious faith, trust in others, or self-affirmation. Whereas CBT emphasizes the importance of challenging dysfunctional beliefs, meaning-centered counseling and therapy (MCCT) emphasizes the importance of positive belief that gives people hope and sustains goal striving. Positive belief also provides the motivation to change. The belief that life can be meaningful and significant inevitably leads to efforts to discover one’s purpose and passion. For young people, it is particularly important that they believe that their future can be better and that life is worth living in spite of the present difficulties. Commitment. MCCT emphasizes human agency and the potency of action. “Agency is the motivational component that ensures a person will be able to begin and sustain the eff ort necessary to follow a particular pathway. Agency is characterized by internal speech, such as ‘I am not going to be stopped’” (Valle, Huebner, & Suldo, 2006, p. 395). Commitment to persistent hard work is necessary to bring about change. There will always be setbacks and obstacles; therefore, persistence and resourcefulness are indispensable in achieving worthy goals. Real change begins when one takes the first concrete step in a new direction. We need to do whatever it takes to get out of a rut to create a better future. We all need to do what is demanded of us by a sense of responsibility or moral obligations. Just do it is the message, even when we do not feel like doing it. Both Morita therapy (Ishiyama, 1990) and acceptance-commitment therapy (Biglan, Hayes, & Pistorello, 2008) stress the importance of action over feelings in order to overcome depression and improve daily functioning. Commitment to goal setting and goal striving is important for academic achievement (Morisano, Hirsh, Peterson, Shore, & Pihl, 2010). Commitment also refers to the quest for meaning and significance, which makes one feel that life is worth living. Discovery. Viktor Frankl (1946/1985) has consistently emphasized that meaning is discovered more than created, and for good reason. Discovery of meaning involves soul searching, awakening, or enlightenment about how one ought to live. It also means discovering hidden talents in oneself, significance in mundane activities, and more important, one’s sense of calling and mission. People are often unaware of how courageous and resilient they are until they are challenged to rise to the occasion. Young people do not usually discover what matters and what life demands of them until they are committed to the quest for meaning and personal growth. Evaluation or Enjoyment. Evaluation or enjoyment is an important component of self-regulation. If nothing seems to work and one remains miserable, then some adjustment is necessary. When the previous four steps work well and result in a satisfactory solution, then the ABCDE strategy will yield to PURE principles until one encounters another obstacle or crisis. Tragic optimism is a specialized module used to cope with extreme adversities and catastrophic events. It draws strengths from PURE and ABCDE to restore hope in the most hopeless situations. The five components of tragic optimism are acceptance, belief, courage, religious faith, and self-transcendence. Tragic optimism is the only kind of hope that can survive all the storms of life (Frankl, 1946/1985; Wong, 2009b; Wong & McDonald, 2002), for it is grounded in reality and rooted in faith. Horrible things happen to good people, and tragedy may strike without any notice. In such trying times, resilience begins with the courage to accept the horrors that have descended on us. Belief in the intrinsic worth and meaning of life prevents people from sinking into depression or committing suicide. Having faith in God or belief that rescue is forthcoming keeps hope alive. Self-transcendence connects suffering individuals with other victims in the solidarity of helping others and working together to overcome devastating traumas. The dual-systems model, as described by Wong (Chapter 1, this volume), is responsible for managing the interactions between the three modules. More specifically, it manages the coordination and interactions between the approach and avoidance systems. It is based on self-determination theory (Chapters 4 and 24, this volume), which emphasizes the process and the skills necessary for achieving desirable goals and overcoming obstacles. The mediating role of the dual-systems model is shown in Figure 27.1. Since the early days of research on the invulnerable child, many youth resilience programs have been developed as part of the positive youth movement (Catalano, Berglund, Ryan, Lonczak, & Hawkins, 1998; Lopez & McKnight, 2002); these interventions may have outpaced scientific research (Doll & Lyon, 1998). There are different approaches to building resilience. The positive youth movement contributes to youth resilience primarily through extracurricular activities. According to America’s Promise Alliance (2010), there are five promises of the positive youth movement: caring adults, safe places, a healthy start and healthy development, an effective education, and opportunities to help others through service. Some of the organizations that provide activities that contribute to positive youth development include Big Brothers and Big Sisters, Boy’s Club, YMCA, and YWCA. According to Jamieson (2005), although positive youth programs come in different shapes and sizes, one can identify factors for youth programs that work: First, the more time committed to youths generally result in better outcomes. Second, the younger the participants, the more likely they are to develop competence. Third, the more structured the programs, the more likely these programs will produce consistent results. Some programs are highly structured and are incorporated in the regular school curriculum. One example is the Penn Resiliency Program (PRP; Gillham & Reivich, 2004). The PRP consists of 12 scripted sessions in the classroom focusing on awareness of thought patterns and modifying explanatory styles of events. The program helps students think realistically and flexibly and is based on CBT. Currently, there are numerous other programs based on the cognitive-behavioral approach to building resilience in children and youth. For example, the “FRIENDS for Life” program developed by Barrett (2004a, 2004b) has been used to reduce anxieties and reinforce desirable behavior in order to increase resilience (Barrett & Turner, 2001; Rose, Miller, & Martinez, 2009). Reivich and Shatte’s (2002) program is also based on CBT and emphasizes seven cognitive skills to finding one’s inner strength and overcoming life’s obstacles: (a) learning the ABCs of CBT, (b) avoiding thinking traps, (c) detecting icebergs, (d) challenging beliefs, (e) putting things in perspective, (f) calming and focusing, and (g) real-time resilience. Given the multidimensional nature of resilience, only a holistic and integrative meaning-centered approach can deliver a comprehensive resilience program. A comprehensive resilience program for youth will incorporate all seven dimensions of resilience. Relational and emotional resilience results from such protective factors as secure attachment and intimacy with a parent, caregiver, or caring adult. Behavioral resilience comes from discipline and training, including forming good habits of focusing, persistence, endurance, and task completion. Cognitive competence is also important: Learning how to think positively and resist negative thoughts builds cognitive resilience. Youth need to realize that there is something bigger out there, bigger than one’s self-interests. They can also learn to be attuned to spiritual transcendental realities, which give birth to feelings of awe and wonder. They need to develop the kind of faith that will work for them in times of tragedy. Spiritual-existential resilience entails the capacity for faith and prayer. Transactional resilience comes from learning coping and problem-solving skills. It involves learning how to develop and access ecological resources and how to use culturally and situationally appropriate coping responses. A comprehensive meaning-centered resilience program will cover the following themes: (a) purposes and life goals; (b) understanding the self and one’s place in the world; (c) freedom and responsibility; (d) the right and wrong pathways to happiness; (e) the courage to accept internal and external constraints; (f) faith and belief in a better future; (g) commitment to growth; (h) discovery of hidden dimensions of the self and new frontiers of life; (i) the power of self-transcendence, empathy, compassion, and altruism; and (j) Positive thinking, attribution and meaning-management. Given that space will not permit a detailed description of all meaning-enhancing positive interventions (see Wong & Wong, in press), here we will highlight just a few exercises. A purpose-driven life is more likely to endure adversities and setbacks. Thus, the meaning-centered approach focuses on discovering what really matters in life, reinforcing the will to meaning, and identifying concrete and realistic goals consistent with one’s life purpose (Frankl, 1946/1985; Wong, 1998b, 2010). Damon (2008) shows that the key ingredient in guiding young people to meaningful choices is the development of a clear sense of purpose that transcends self-interest. Having a sense of purpose gives youth a strong sense of moral identity and resiliency (Bronk, 2005). Here are a few interventions that contribute to the discovery and enhancement of purpose. 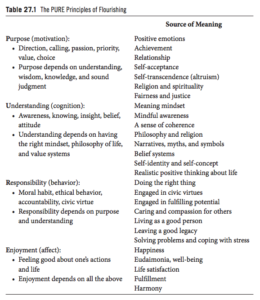 Discover what makes your life worth living: Complete the Personal Meaning Profile (PMP; Wong, 1998b) to learn which sources of meaning are important to you. Discover what matters most to you: Complete the Life Orientation Profile (LOP; Wong, 2011a) to learn whether your core values and ultimate concerns are primarily oriented toward pleasure, success, meaning, or virtue. Describe in concrete, specific terms a mission statement for your life, career, or education. 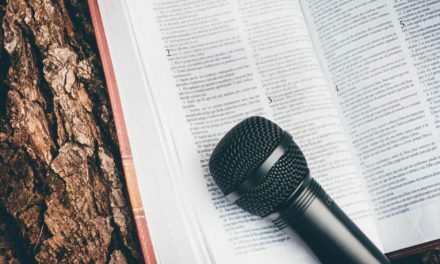 Ask a series of why questions until you are truly satisfied with your mission statement. Conduct a dream analysis by asking yourself “What was my dream as a child?” and “What is my recurrent dream in life?” Write about these dreams, and reflect on their meaning and importance to you. Consider a magic question: If you were granted one wish, what would that be? Why? If you could carry only one thing with you to a faraway place for an extended period of time, what would it be and why? The Johari window (see Figure 27.2; Luft & Ingham, 1955): This exercise is intended to help you discover what you know and don’t know about yourself and what others know and don’t know about yourself. 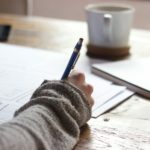 Journaling and self-authoring: Write something about your past, present, and future (see http://www.selfauthoring.com). Write about your emotional everyday life experiences (Pennebaker, 1997). Identify and articulate the positive meanings for your education or career choice. Reflect on meaningful moments (Wong, 2011c). A meaningful moment is defined as a moment marked by certain qualities that enrich life and provide insights to living. Self-assessment: At the end of each day or week, identify the things you did that gave you a sense of satisfaction; also identify the things you failed to do or things you did that made you feel dissatisfied. Describe your negative feelings and plan actions to reduce or eliminate areas of dissatisfaction. Positivity exercise (Part 1): Identify the most troublesome and negative areas in your life. Discover three positive benefits that can come from each of these negative areas. Explore ways to transform negative aspects of your life into positive assets for the future. Positivity exercise (Part 2): Identify your most intrusive negative thoughts. Reframe these thoughts so they will no longer trouble you. The next step is to transform these thoughts into positive ideas for personal growth. Silence exercise: Unplug yourself from everything. Switch off your iPhone, iPod, TV, radio, telephone, and so on. Get away from people and noise. Find a quiet spot and stay in complete solitude for one hour. Meditate, pray, or simply savor the present moment without judgment or analysis. Afterward, describe what you experienced. Ask a trusted friend to tell you honestly what is right and what is wrong with you. Throughout the exercise, do not defend yourself. Learn to listen quietly and carefully. After a time of reflection, write down your feelings and thoughts and describe how you have come to accept the parts of the criticisms that are true or partially true. Discover and accept your limitations and find a way to get the job done despite your deficiencies. Contracting: Make a contract with yourself and/or with a trusted friend or counselor to make yourself accountable to a commitment you have made. The contract should include a realistic goal and a concrete plan of action. Success story: Describe at least one incident in your life in which you had to endure and overcome a serious adversity or setback. Indicate what you learned from that experience. Endurance test: Commit to a regime of gradually increasing your endurance in some activity or exercise without harming yourself. Focus on improving your ability to persist and concentrate on that task despite discomfort. Teamwork: Commit yourself to becoming a valued member of a group. It can be a special interest club, community service group, or meet-up group (see http://www.meetup.com). Stay with that group until you feel as if you belong to the group as a significant, valued, and contributing member. Good deeds: Do good deeds every week. Some good deeds may inconvenience you or call for self-sacrifice while benefiting others. Challenge yourself: Do something challenging each week. Choose to do something outside your comfort zone or perform a task that is fairly difficult but still achievable. We have shown that resilience is the capacity to grow and flourish in spite of setbacks and adversity. We have made the case that in order for children and youth to be resilient, we need a holistic and integrative approach that takes into account social, ecological, and cultural factors. We have shown that the meaning-centered positive triad incorporates all the dimensions of resilience. The PURE module provides the main sources of motivational, relational, and emotional resilience. Meaning and purpose give individuals direction, life goals, and the energy needed to succeed in life. Relationships and community resources provide the social support one needs. The positive emotions that ensue from meaningful pursuits are like icing on the cake, making life more pleasant and engaging. The ABCDE module provides cognitive and behavioral resilience. Positive and realistic thinking enables one to make sound decisions and judgments. Acquiring the habit of persistence and flexibility enables one to persevere with courage, fortitude, and resourcefulness. Success in overcoming difficulties further increases one’s cognitive resilience; one learns to attach positive meanings and attributions to adversity, perceiving them as challenges and opportunities, rather than threats, to becoming better and stronger. Tragic optimism provides the existential or spiritual resilience one needs in catastrophic or hopeless situations. When one’s assumptive world is shattered and when death seems inescapable, “will to meaning,” according to Frankl (1946/1985), gives one the will to live. Life has meaning to its last breath. Suffering becomes bearable and death loses its sting when one has found something worth dying for. Tragic optimism offers a ray of hope even when all realistic hopes for survival and recovery have perished. In such desperate situations, tragic optimism often involves belief in miracles and an ultimate rescuer. Also, however, tragic optimism emphasizes the importance of self-transcendence, compassion, and solidarity in trying times. The burden becomes lighter and the pain becomes more bearable when people come together to help each other to survive yet another day. The dual-systems model provides transactional resilience through managing the interactions between the approach and avoidance systems in order to minimize failure and maximize success. This meaning-centered self-regulation system capitalizes on people’s capacities for meaning seeking, meaning making, and meaning reconstruction in order to achieve important life goals. In the final analysis, resilience has to be fueled by hope, faith, and love. Resilience demands all the courage one can muster, all the wisdom one can master, and all the support one can rally in order to become what one was meant to be and make worthy contributions to humanity. The holistic meaning-centered approach is designed to produce positive, mentally healthy youth by building character strengths, developing moral fortitude, fostering compassion for others, and cultivating supportive social ecologies. To Greiten, “The person who has nothing for which he is willing to fight, nothing which is more important than his own personal safety, is a miserable creature” (Back cover). This statement captures the essence of the meaning-centered positive triad for resilience and flourishing. Aristotle. (2004). Nichomachean ethics. (F. H. Peters, Trans.) New York, NY: Barnes and Noble. Azar, B. (2010, December). A reason to believe. Monitor on Psychology, 41(11), 52-56. Barber, B. K. (2008a). Contrasting portraits of war: youths’ varied experiences with political violence in Bosnia and Palestine. International Journal of Behavioral Development, 32(4), 298–309. Barber, B. K. (2008b). Making sense and no sense of war: issues of identity and meaning in adolescents’ experience with political conflict. In B. K. Barber (Ed. ), Adolescents and war: How youth deal with political violence. NY: Oxford University. Barrett, P. (2004a). FRIENDS for life: Group leaders’ manual for children. Bowen Hills, Queensland, Australia: Australian Pearson Merrill Prentice Hall. Barrett, P. (2004b). FRIENDS for life: Workbook for children (4th ed.). Bowen Hills, Queensland, Australia: Australian Academic Press. Barret, P. M., & Turner, C. M. (2001). Prevention of anxiety symptoms in primary school children: Preliminary results from a universal school-based trial. British Journal of Clinical Psychology, 40, 399-410. Beardslee, W. R. (1989). The role of self-understanding in resilient individuals: The development of a perspective. American Journal of Orthopsychiatry, 59, 266-278. Becker, G. (1997). Disrupted lives: How people create meaning in a chaotic world. Los Angeles, CA: University of California Press. Benard, B. (1991). Fostering resiliency in kids: Protective factors in the family, school and community. Portland, OR: Northwest Regional Educational Laboratory. Bender, K., Thompson, S. J., McManus, H., & Lantry, J. (2007, February). Capacity for survival: Exploring strengths of homeless street youth. Child Youth Care Forum, 36(1), 25-42. doi:10.1007/s10566-006-9029-4. Biglan, A., Hayes, S. C., Pistorello, J. (2008, September). Acceptance and commitment: Implications for prevention science. Prevention Science, 9(3), 139-152. doi: 10.1007/s11121-008-0099-4. Bowby, J. (1988). A secure base: Parent-child attachment and healthy human development. New York, NY: Basic Books. Bronk, K. C. (2005). Portraits of purpose: A study examining the ways a sense of purpose contributes to positive youth development. Dissertation Abstracts International, AAT 3187267. Brooks, R. & Goldstein, S. (2002). Raising resilient children: Fostering strength, hope, and optimism in your child. New York, NY: McGraw-Hill. Brooks, R. & Goldstein, S. (2004). 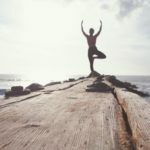 The power of resilience: Achieving balance, confidence, and personal strength in your life. New York, NY: McGraw-Hill. Csikszentmihalyi, M., & Csikszentmihalyi, I. S. (Eds.). (1992). Optimal experience: Psychological studies of flow in consciousness. New York, NY: Cambridge University Press. Csikszentmihalyi, M., & Csikszentmihalyi, I. S. (Eds.). (2006). A life worth living: Contributions to positive psychology. New York, NY: Oxford University Press. Curry, L., & Snyder, C. R. (2000). Hope takes the field: Mind matters in athletic performances. In C. R. Snyder (Ed. ), Handbook of hope: Theory, measures, and applications (pp.243-259). San Diego, CA: Academic Press. Damon, W. (2008). The path to purpose: Helping our children find their calling in life. New York, NY: Free Press. Doll, B. & Lyon, M. A. (1998). Risk and resilience: Implications for the delivery of educational and mental health services in schools. School Psychology Review, 27(3), 348-363. Eggerman, M. & Panter-Brick, C. (2010). Suffering, hope, and entrapment: Resilience and cultural values in Afghanistan. Social Science & Medicine, 71, 71-83. Everly Jr., G. S. (2008). The resilient child: Seven essential lessons for your child’s happiness and success. New York, NY: DiaMedica Publishing. Frankl, V. E. (1985). Man’s search for meaning (Revised and updated). New York, NY: Washington Square Press/Pocket Books. Fredrickson, B. L., Tugade, M. M., Waugh, C. E., & Larkin, G. R. (2003). What good are positive emotions in crisis? A prospective study of resilience and emotion following the terrorist attacks on the United States on September 11th, 2001. Journal of Personality and Social Psychology, 84, 365-376. Fry, P. S. (1996). Reflective and subversive dialogues with adolescents. Research in progress, Trinity Western University, Langley, BC. Fry, P. S. (1998). The development of personal meaning and wisdom in adolescence: A reexamination of moderating and consolidating factors and influences. In P. T. P. Wong & P. S. Fry (Eds. ), The human quest for meaning (pp. 91-110). Mahwah, NJ: Lawrence Erlbaum Associates, Inc.
Garmezy, N. (1974, August). The study of children at risk: New perspectives for developmental psychopathology. Paper presented at the annual meeting of the American Psychological Association, New Orleans, LA. Garmezy, N. (1985). Stress-resistant children: The search for protective factors. In J. E. Stevenson (Ed. ), Recent research in developmental psychopathology: Journal of Child Psychology and Psychiatry Book Supplement 4 (pp. 213-233). Oxford, UK: Pergamon Press. Garmezy, N. (1991a). Resilience in children’s adaptation to negative life event sand stressed environments. Pediatric Annals, 20, 459-466. Garmezy, N. (1991b). Resiliency and vulnerability to adverse developmental outcomes associated with poverty. American Behavioral Scientist, 34(4), 416-430. Gillham, J. E., & Reivich, K. J. (2004). Cultivating optimism in childhood and adolescence. The Annals of the American Academy of Political and Social Science, 591, 146-153. Greenwald, A. G. (1980). The totalitarian ego: Fabrication and revision of personal history. American Psychologist, 35, 603-618. Greitens, E. (2011). The heart and the fist. Boston, NY: Houghton Mifflin Harcourt. Hart, K. E., & Sasso, T. (2011). Mapping the contours of contemporary positive psychology. 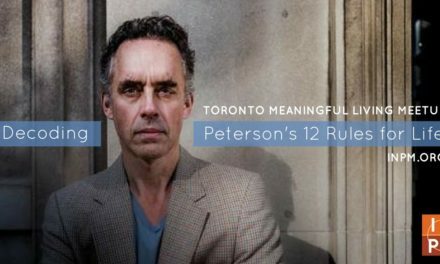 Canadian Psychology, 52(2), 82-92. Harvey, J., & Delfabbro, P. H. (2004). Resilience in disadvantaged youth: A critical overview. Australian Psychologist, 39, 3-13. Hass, M., & Graydon, K. (2009). Sources of resiliency among successful foster youth. Child and Youth Services Review, 31, 457-463. Hauser, S. T., Allen, J. P., & Golden, E. (2008). Out of the woods: Tales of resilient teens. Boston, MA: Harvard University Press. Headey, B. (2008). Life goals matter to happiness: A revision of set-point theory. Social Indicators Research,86(2), 213-231. Hilt, L. M. (2003-2004). Attribution retraining for therapeutic change: Theory, practice, and future directions. Imagination, Cognition and Personality, 23(4), 289-307). Ishiyama, F. I. (1990). Meaningful life therapy: Use of Morita therapy principles in treating patients with cancer and intractable diseases. International Bulletin on Morita Therapy, 3(2), 77–84. Jamieson, K. H. (Ed.). (2005). Treating and preventing adolescent mental health disorders: What we know and what we don’t know. New York: Oxford University Press. Janoff-Bulman, R. (1992). Shattered assumptions: Towards a new psychology of trauma. New York, NY: The Free Press. Jessor, R. (1993). Successful adolescent development among youth in high-risk settings. American Psychologist, 48, 117-126. Kabat-Zinn, J. (1990). Full catastrophe living. New York, NY: Delacorte Press. Kiang, L., & Fuligni, A. J. (2010). Meaning in life as a mediator of ethnic identity and adjustment among adolescents from Latin, Asian, and European American backgrounds. Journal of Youth and Adolescence, 39, 1253-1264. doi:10.1007/s10964-009-9475-z. Kobasa, S. C., Maddi, S. R., & Kahn, S. (1982). Hardiness and health: A prospective study. Journal of Personality and Social Psychology, 42, 168-177. Luft, J., & Ingham, H. (1955). The Johari window, a graphic model of interpersonal awareness. Proceedings of the western training laboratory in group development. Los Angeles, CA: UCLA. Luthar, S. S. (Ed.). (2003). Resilience and vulnerability: Adaptation in the context of childhood adversities. New York, NY: Cambridge University Press. Luthar, S. S., Doernberger, C. H., & Zigler, E. (1993). Resilience is not a unidimensional construct: Insights from a prospective study of inner-city adolescents. Development and Psychopathology, 5(4), 703-717. Luthar, S. S., & Cicchetti, D. (2000). The construct of resilience: Implications for interventions and social policies. Development and Psychopathology, 12(4), 857-885. Luthar, S. S., & Zelazo, L. B. (2003). Research on resilience: An integrative review. In S. S. Luthar (Ed. ), Resilience and vulnerability: Adaptation in the context of childhood adversities (pp. 510-549). New York, NY: Cambridge University Press. Luthar, S. S., Cicchetti, D., & Becker, B. (2000). The construct of resilience: A critical evaluation and guidelines for future work. Child Development, 71(3). Lykken, D. (1999). Happiness: What studies on twins show us about nature, nurture, and the happiness set-point. New York, NY: Golden Books. Maddi, S. R. (1998). Creating meaning through making decisions. In P. T. P Wong & P. Fry (Eds), The human quest for meaning: A handbook of psychological research and clinical applications (pp. 3-26). Mahwah, NJ: Lawrence Erlbaum Associates, Inc., Publishers. Mariano, J. M. (2007). The relationship of purpose to character strengths in emerging adulthood. Dissertation Abstracts International, AAT 324590. Maslow, A. H. (1965). Eupsychian management: A journal. New York, NY: Richard D. Irwin. Masten, A. S. (2001). Ordinary magic: Resilience processes in development. American Psychologist, 56(3), 227-238. Masten, A. S., & Reed, M. G. J. (2002). Resilience in development. In C. R. Snyder & S. J. Lopez (Eds. ), The handbook of positive psychology (pp. 74-88). New York, NY: Oxford University Press. Morisano, D., Hirsh, J. 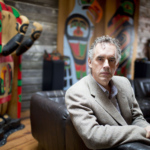 B., Peterson, J. B., Shore, B., & Pihl, R. O. (2010). Personal goal setting, reflection, and elaboration improves academic performance in university students. Journal of Applied Psychology, 95, 255-264. Myers, D. G. (1993). The pursuit of happiness: Discovering the pathway to fulfillment, well-being, and enduring personal joy. New York, NY: Avon Books. Neenan, M. (2009). Developing resilience: A cognitive-behavioural approach. New York, NY: Routledge. Obradović, J., Bush, N.R., Stamperdahl, J. Adler, N.E. & Boyce, W.T. (2010). Biological sensitivity to context: The interactive effects of stress reactivity and family adversity on socioemotional behavior and school readiness. Child Development, 81(1), 270-289. Pan, J. Y., Wong, D. F. K., Chan, C. L. W., & Joubert, L. (2008). Meaning of life as a protective factor of positive affect in acculturation: A resilience framework and a cross-cultural comparison. International Journal of Intercultural Relations, 32, 505-514. Peacock, E. J., & Wong, P. T. P. (1990). The Stress Appraisal Measure (SAM): A multidimensional approach to cognitive appraisal. Stress Medicine, 6, 227-236. Pennebaker, J. W. (1997) Writing about emotional experiences as a therapeutic process. Psychological Science, 8, 162–166. Pines, M. (1975, December). In praise of “invulnerables”. APA Monitor, 7. Price-Mitchell, M. (2010). Civic learning at the edge: Transformative stories of highly engaged youth. Unpublished Doctoral dissertation. Fielding Graduate University. Santa Barbara, CA. Raskin, J. D., Bridges, S. K., & Neimeyer, R. A. (2010). Studies in meaning 4: Constructivist perspectives on theory, practice, and social justice. New York, NY: Pace University Press. Reichert, M. C., Stoudt, B., & Kuriloff, P. (2006). Don’t love no fight: Healing and identity among urban youth. The Urban Review, doi: 10.1007/s11256-006-0033-7. Reivich, K., & Shatte, A. (2002). The resilience factor: 7 essential skills for overcoming life’s inevitable obstacles. New York, NY: Broadway Books. Robbins, B. D., & Friedman, H. (2011, April). Resiliency as a virtue: Contributions from humanistic and positive psychology. In K. M. Gow, & M. J. Celinski, Continuity versus creative response to challenge: The primacy of resilience and resourcefulness in life and therapy. Hauppauge, NY: Nova Science Pub Inc.
Rose, H., Miller, L., & Martinez, Y. (2009, August). “Friends for life”: The results of a resilience-building, anxiety-prevention program in a Canadian elementary school. Professional School Counseling, 12(6), 400-407. Ryan, R. M., & Powelson, C. L. (1991). Autonomy and relatedness as fundamental to motivation and education. Journal of Experimental Education, 60(1), 49-66. Salovey, P., & Sluyter, D. J. (1997). Emotional development and emotional intelligence: Educational implications. New York, NY: Basic Books. Salovey, P., Mayer, J. D., & Caruso, D. (2002). The positive psychology of emotional intelligence. In C. R. Snyder & S. J. Lopez (Eds. ), The handbook of positive psychology (pp. 159-171). New York, NY: Oxford University Press. Seligman, M. E. (2011). Flourish. New York, NY: Free Press. Siegel, D. J. (2001). The developing mind: How relationships and the brain interact to shape who we are. New York, NY: The Guildford Press. Snyder, C. R. (1997). Unique invulnerability: A classroom demonstration in estimating personal mortality. Teaching of Psychology, 24, 197-199. Snyder, C. R. & Feldman, D. (2000). Hope for the many: An empowering social agenda. In C. R. Snyder (Ed. ), Handbook of hope: Theory, measures, and applications (pp. 389-412). San Diego, CA: Academic Press. Snyder, C. R., & Lopez, S. J. (2007). Positive psychology: The scientific and practical explorations of human strengths. Thousand Oaks, CA: Sage Publications, Inc.
Sternberg, R. J. (2001). Why schools should teach for wisdom: The balance theory of wisdom in educational settings. Educational Psychology, 36, 227-245. Takanishi, R. (1993). The opportunities of adolescence: Research interventions, and policy. American Psychologist, 48, 85-87. Tomer, A., Grafton, E. & Wong, P. T. P. (Eds.). (2008). Death attitudes: Existential & spiritual issues. Mahwah, NJ: Erlbaum. Ungar, M. (2005). Handbook for working with children and youth: Pathways to resilience across cultures and contexts. Thousand Oaks, CA: Sage Publications. Ungar, M. (2006). Strengths-based counseling for at-risk youth. Thousand Oaks, CA: Corwin Press. Ungar, M., Liebenberg, L., Boothroyd, R., Kwong, W. M., Lee, T. Y., Leblanc, J., Duque, L., & Makhnach, A. (2008). The study of youth resilience across cultures: Lessons from a pilot study of measurement development. Research in Human Development, 5(3), 166-180. Valle, M. F., Huebner, E. S., & Suldo, S. M. (2006). An analysis of hope as a psychological strength. Journal of School Psychology, 44, 393–406. Vanderbilt-Adriance, E., & Shaw, D. S. (2008, June). Conceptualizing and re-evaluating resilience across levels of risk, time, and domains of competence. Clinical Child and Family Psychology Review, 11(1-2), 30-58. doi:10.1007/s10567-008-0031-2. Werner, E. E. (1984). Resilient children. Young Children, 40(1), 68-72. Werner, E. E. (1995). Resilience in development. Current Directions in Psychological Science, 4, 81-85. Werner, E., & Smith, R. (1982). Vulnerable but invincible: A longitudinal study of resilient children and youth. New York, NY: Adams, Bannister, & Cox. Wexler, L. M., DiFluvio, G., & Burke, T. K. (2009). Resilience and marginalized youth: Making a case for personal and collective meaning-making as part of resilience research in public health. Social Science & Medicine, 69, 565-570. doi: 10.1016/j.socscimed.2009.06.022. Williams, N. R., & Lindsey, E. W. (2010). Finding their way home: Utilizing spiritual practices to bolster resiliency in youth at risk. New Scholarship in the Human Services, 9(1), 1-16. Wong, P. T. P. (1979). Frustration, exploration, and learning. Canadian Psychological Review, 20, 133-144. Wong, P. T. P. (1991). Existential vs. causal attributions: The social perceiver as philosopher. In S. L. Zelen (Ed. ), New models, new extensions of attribution theory (pp. 84-125). New York, NY: Springer-Verlag. Wong, P. T. P. (1998a). Academic values and achievement motivation. In P. T. P. Wong, & P. Fry (Eds. ), The human quest for meaning: A handbook of psychological research and clinical applications (pp. 261-292). Mahwah, NJ: Erlbaum. Wong, P. T. P. (2009a). Chinese positive psychology. In S. J. Lopez (Ed. ), Encyclopedia of positive psychology (Vol. 1, pp. 148-156). Oxford, UK: Wiley Blackwell. Wong, P. T. P. (2011b). Meaning-centered counseling and therapy: An integrative and comprehensive approach to motivational counseling and addiction treatment. In W. M. Cox, & E. Klinger (Eds. ), Handbook of motivational counseling: Goal-based approaches to assessment and intervention with addiction and other problems (pp. 461-487). West Sussex, UK: Wiley. Wong, P. T. P. (2011d). Positive psychology 2.0: Towards a balanced interactive model of the good life. Canadian Psychology, 52(2), 69-81. Wong, P. T. P., & Tomer, A. (2011). Beyond terror and denial: The positive psychology of death acceptance. Death Studies, 35(2), 99-106. Wong, P. T. P., & Wong, L. C. J. (in press). A manual of meaning-centered positive interventions. Abbotsford, BC: INPM Press.